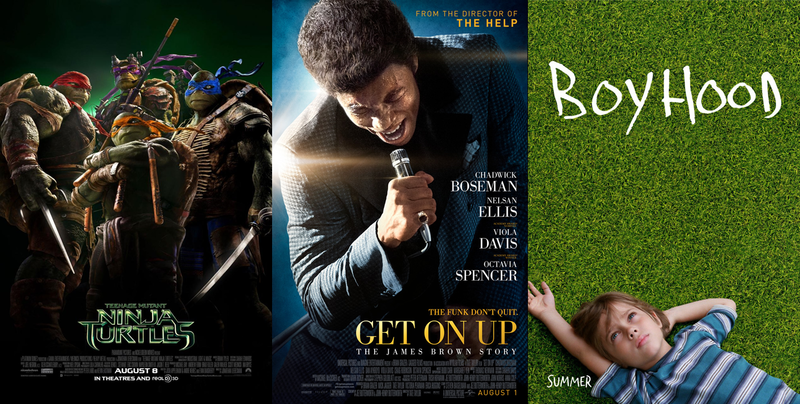 In Episode 46, Doug and Dirty A discuss the Teenage Mutant Ninja Turtles reboot as well as the James Brown biopic, Get on Up, and Richard Linklater’s Boyhood. You may be surprised at which one got the highest praise. Then, they turn their attention to last year’s Short Term 12. Take a listen! This entry was posted in Movies, Podcasts and tagged 2014, Boyhood, Episode, Film Reviews, Films, Get on Up, Hodgepodge, James Brown, Movie Reviews, Movies, Podcast, Reviews, Teenage Mutant Ninja Turtles. Bookmark the permalink.